Ningbo Dingjia Auto Parts Co.,ltd. Smart spare parts, Renault spare parts, Chevrolet spare parts etc. Korean car (Daewoo , Kia , Hyundai, Sangyong ) spare parts, America car Chevrolet spare parts, French car (Peugeot, Renault ) spare parts, Japanese car (Toyota , Mitsubishi , Nissan ,Mazda, Honda, Daihatsu, Isuzu, Suzuki )spare parts , Italian car (Iveco, Fiat)spare parts and TRUCK (Volvo, Daf, Man, Scania, Perkins, Mercedes-benz, Kamaz) spare parts ect. Our company for auto parts for over 13 years. this is our website: http://www.softningbo.com please have a look.there are have too much products . 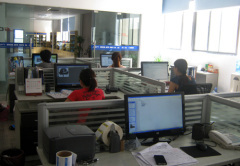 Our products are exported to clients worldwide. 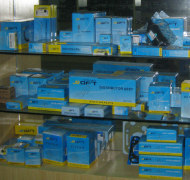 Our Product/Service: Smart spare parts, Renault spare parts, Chevrolet spare parts etc.